With the holidays over and the cold weather still dragging on, it is the perfect time to spice up your game room and bring back indoor entertainment for your family and friends! West Penn Billiards not only has all of the billiard equipment that you need for your perfect game room, we also have many other options that will have the whole neighborhood gathering at your house during those long snowy winter nights! No game room is complete without the sounds and the lights of arcade games! West Penn Billiards has your local Pittsburgh connection for the greatest arcade games to add to your game room! Remember the thrill and skill it took to sink the balls in pinball? We have that covered! What about Skee ball, a favorite of all ages! We have Classic and Centennial Skee ball, guaranteed to keep everyone occupied for hours! We also have good old fashioned video arcade games that will add to the glitz and thrill of your ultimate game room. A good game of darts is always a crowd pleaser, and getting your darts from West Penn Billiards will make the game even better! We carry numerous brands of soft tip and fixed tip darts. 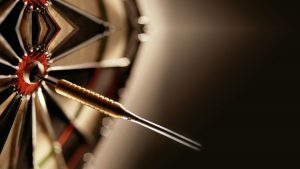 We are able provide you with your perfect electronic dart board, with all of the bells and whistles and the score keeping, so you don’t have to! Music makes the world go round; what is an ultimate game room without a Jukebox? 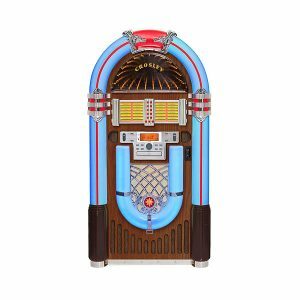 At West Penn Billiards, we currently carry two types of Jukeboxes, perfect for providing the background music to your game and party nights! The Jukebox is an essential part of any party, a tradition going way back in the USA’s history. By adding a Jukebox, you will add class, sentimental value, and so much more to your ultimate game room! These three essentials as well as numerous other ultimate game room items, including foosball, air hockey, ping pong and more, can be found at West Penn Billiards in Pittsburgh, your local game room and billiard store! Contact us today to create the perfect game room for you and your family.